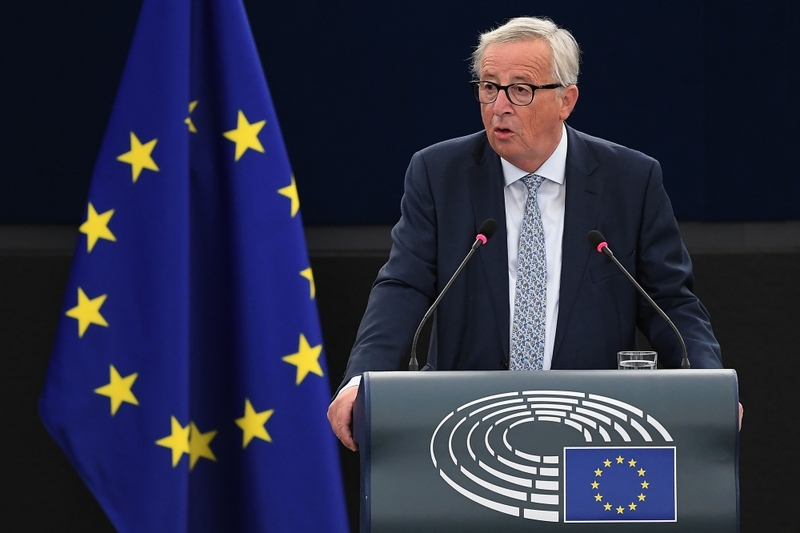 STRASBOURG, France — Europe must become a “global player” with a muscular foreign policy to match its economic strength, European Commission President Jean-Claude Juncker urged on Wednesday, in his annual address to the bloc’s parliament. Populist, nationalist and euroskeptic forces have gained ground in many countries, and the polls for the European parliament could well bring in more of Juncker’s opponents to rock the boat just as he tries to consolidate what he sees as real successes in restoring forward momentum to the European project. The set-piece speech was Juncker’s fourth such state of the union. He leaves office on Oct. 31 next year after a term marked by crisis after crisis: a refugee influx, soaring debt and Brexit.